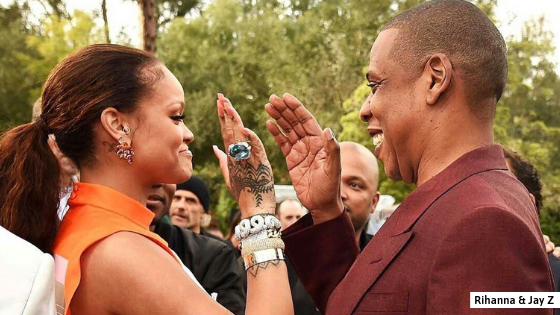 Jay Z and Rihanna getting ready to ‘Run This Town’ again? Jay Z and Rihanna recently met for lunch in Los Angeles and there’s a strong buzz that the two could be collaborating yet again. Their last collaboration came with Jay Z’s Run This Town. Before that Jay had appeared on Rihanna’s Umbrella and Talk That Talk. According to a report in The New York Post’s Page Six, the two were spotted at Hotel Bel Air’s Wolfgang Punk recently. The report went on to state that they enjoyed a business lunch and discussed “music” and what they can “do together”. Meanwhile, Rihanna’s close to wrapping work on her latest album.